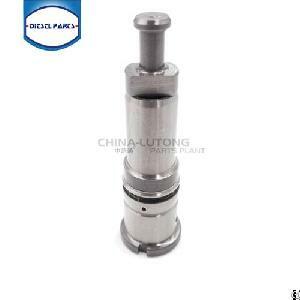 pump where the high-pressure seal is stationary and a smooth cylindrical plunger slides through the seal.The element is a component of the inline diesel pump and its function is to meter and deliver the metered fuel to the injectors. Element consists of two components, barrels and plungers. The plunger is matched to its barrel with high precision and grants hydraulic withhold at all pressures, even very high pressures and low engine revolutions. The plunger is precisely fitted to the barrel with very small clearance to form a perfect sealing. They must therefore be replaced as a set (barrel and plunger).